The Aga Khan University Hospital, Nairobi, Kenya. 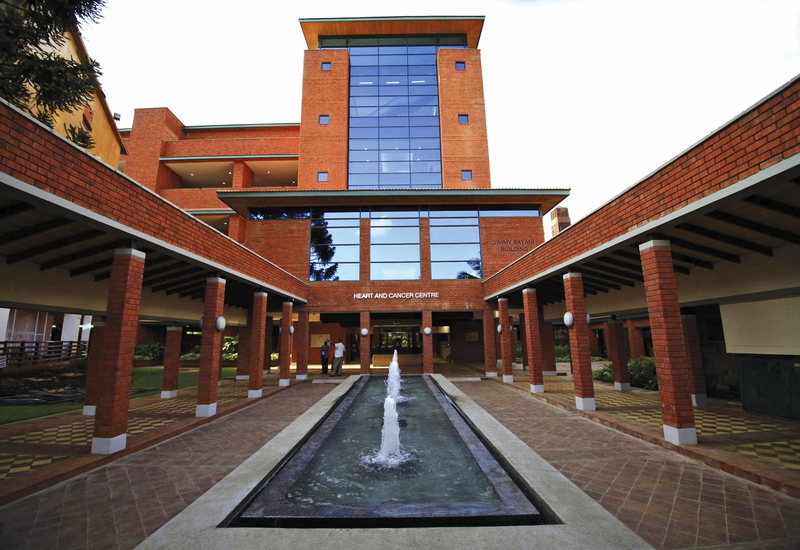 The Aga Khan University Hospital’s Heart and Cancer Centre, Nairobi, Kenya. The Aga Khan University strives to set the regional standard of excellence at its hospitals and clinics in Pakistan, East Africa and Afghanistan, which treat more than 2 million patients annually and which have provided reduced-cost treatment to 2.4 million low-income patients over the last 30 years. 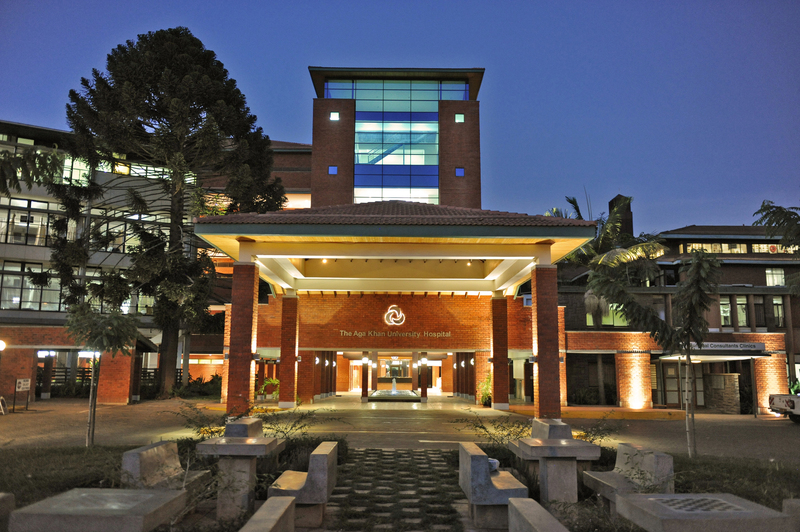 The Aga Khan University Hospital, Karachi and the Aga Khan University Hospital, Nairobi were the first hospitals in their countries to meet the rigorous accreditation standards of the U.S.-based Joint Commission International. AKU’s academic health centres provide high-quality treatment backed by the latest knowledge and deliver an array of services unavailable elsewhere. Our highly trained staff provide everything from prenatal courses for expectant mothers to neurosurgery, child psychiatry to comprehensive cancer care, nutritional counselling to kidney transplantation. In addition to offering outstanding care to those in need, AKU's centres actively work to prevent illness by educating their patients and the public. At AKU, it is believed that everyone deserves to have access to quality care, regardless of where they live or their income. In Pakistan, more than 70 percent of patients who visit the University Hospital every year are low- or middle-income. A pregnant woman saved from death after doctors elsewhere had given up hope; an infant girl who received emergency surgery to correct a life-threatening lung malformation; a young boy whose cancer was detected and successfully treated after his parents had exhausted their savings pursuing treatment at other hospitals – these are just a few instances in which AKU's commitment to providing access to world-class care regardless of a patient’s ability to pay has made the difference between life and death. 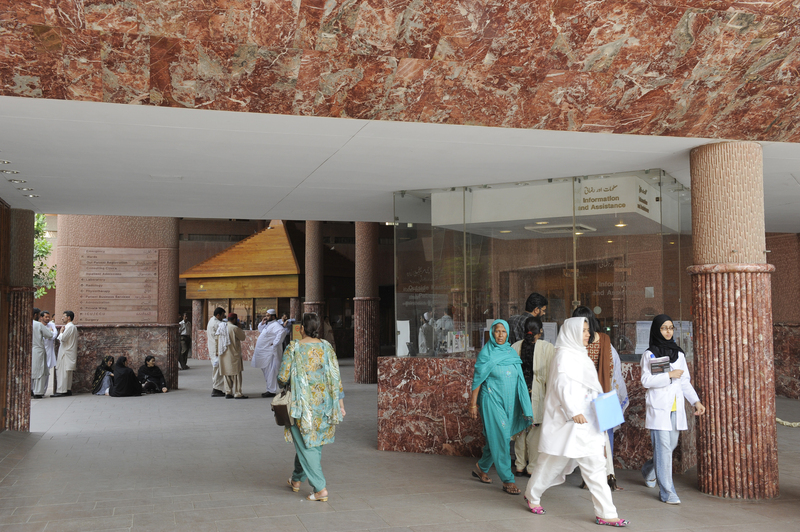 In Pakistan, the University health network includes the 710-bed Aga Khan University Hospital, Karachi, which operates the only clinical laboratory in the country accredited by the College of American Pathologists. It also includes four woman and child hospitals with a total of 213 beds, as well as 264 outreach medical centres in more than 100 cities across the country. 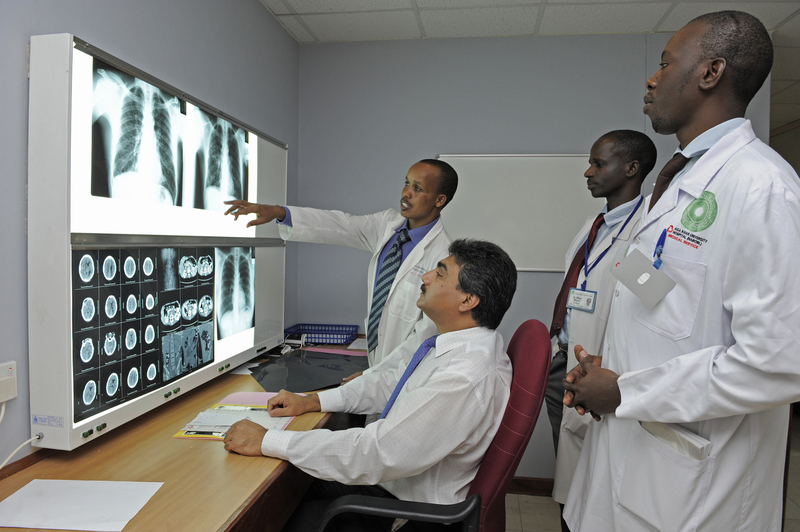 In East Africa, the University health network includes the 300-bed Aga Khan University Hospital, Nairobi and 47 medical and diagnostic centres in Kenya, Uganda and Tanzania. Through telemedicine and an e-Health network supported by AKDN, medical staff in remote, mountainous regions of Central Asia can consult their peers in major state-of-the-art hospitals in Kabul (photo) and Karachi on a regular basis, leading to more timely and effective diagnosis and treatment. 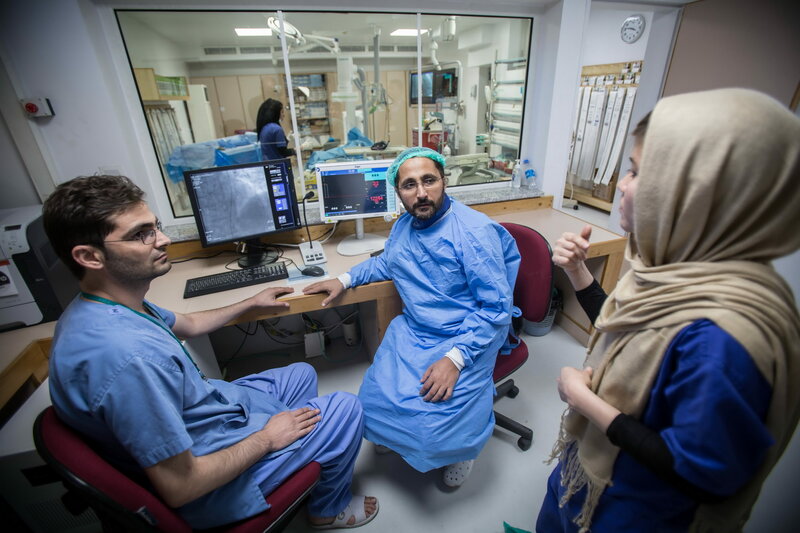 In Afghanistan, the University manages the 160-bed French Medical Institute for Mothers and Children as part of a partnership with the governments of France and Afghanistan and the French NGO La Chaîne de l’Espoir. Since 2006, it has treated more than 1 million patients and performed more than 27,000 surgeries. 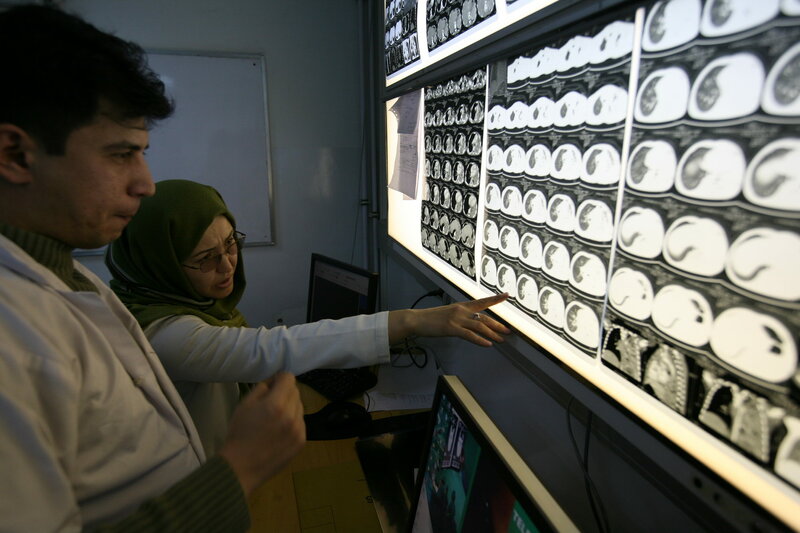 The FMIC laboratory is linked to the University’s laboratories in Pakistan, giving patients in Afghanistan access to a complete menu of medical tests.